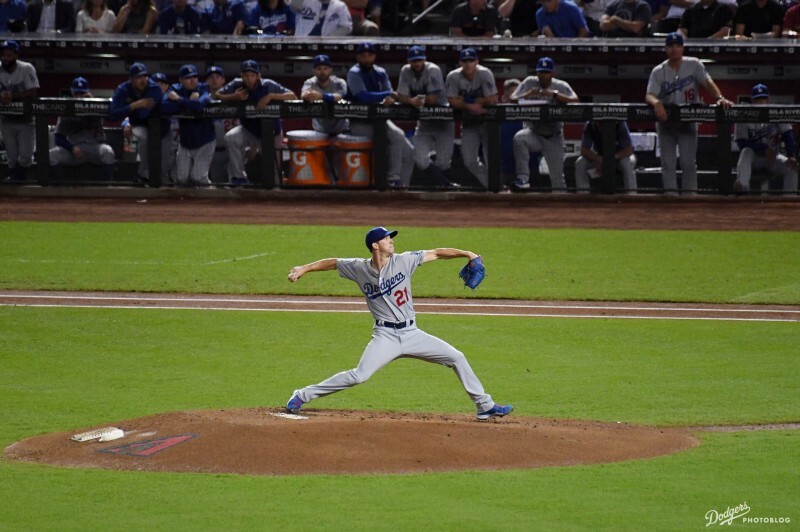 Considering what a mess the Dodger bullpen was a month ago, seemingly undermining every strong effort the starting pitchers made, you might be surprised to see the Los Angeles pitching staff has coalesced more than a little bit. The relief corps still won’t frighten any opponents (yet), but there is some order in the court. Honestly, this staff can do the job in a vacuum — the question will be, can it do the job in a tornado? If Urías balks, why has no ump ever called one? 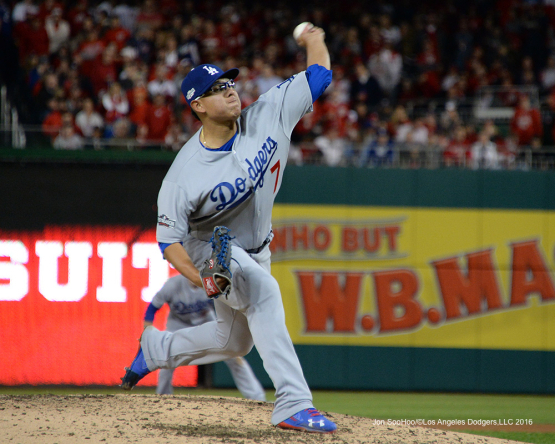 Julio Urías has pitched 79 innings in the big leagues this year, including the postseason. He has allowed 119 baserunners, many of whom stood on first base with an opportunity to steal second. He picked off seven of those batters. During those innings, 16 different umpires have worked behind home plate, with several more of their colleagues working the bases. Not one of those umpires has called Urías for a balk. That’s really the only point I care to make here. I’m not here to argue whether Urías’ pickoff move, which is rapidly gaining notoriety (or depending on your point of view, infamy) is a balk or not. Personally, I think the balk rule, with its 3,981 different qualifiers, is so arcane as to be a joke. The infield-fly rule, by comparison, could hardly be more clear: runners on first and second, fewer than two out, pop fly, fair territory, umpire calls the batter out automatically. Ever since Urías showed his pickoff move on the big stage in the National League Division Series — even earning nicknames such as “The Drifter” from Fox Sport 1’s announcers — there have been widespread critiques. Cubs manager Joe Maddon, whether speaking sincerely from the heart, working the refs or both, laid it out Tuesday afternoon. Except Maddon is wrong in one fundamental way. It’s not obvious. It is close. So far, a couple dozen or more Major League umpires over the past five months have had a look at every move Urías makes. Conservatively speaking, Urías has thrown to first base at least 100 times. And the umps, all of whom seem to have different strike zones, different umpiring styles, different relationships with players and managers, have been unanimous. Urías hasn’t balked. 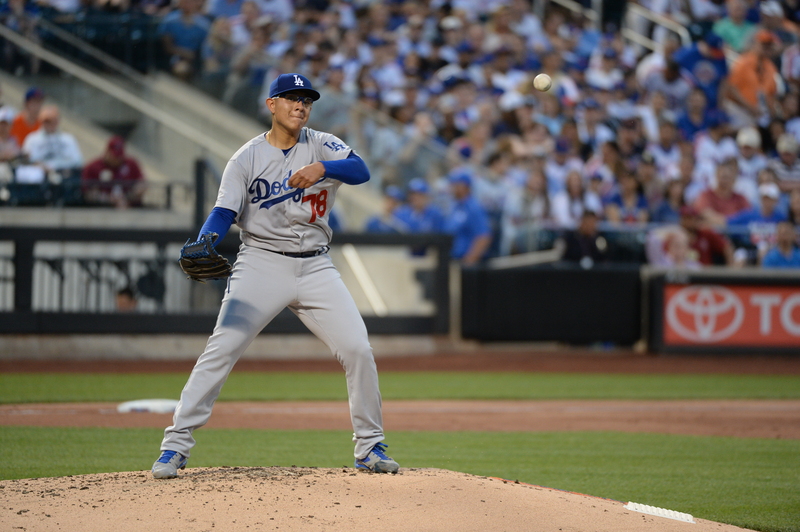 Julio Urías is officially scheduled to take the mound at Game 4 of the National League Championship Series on Wednesday and become the youngest starting pitcher in MLB playoff history. At 20 years and 68 days for Game 4, Urías will break the record held by Kansas City’s Bret Saberhagen (1984 ALCS Game 2) by 107 days. Saberhagen received a no-decision after allowing two earned runs in eight innings. 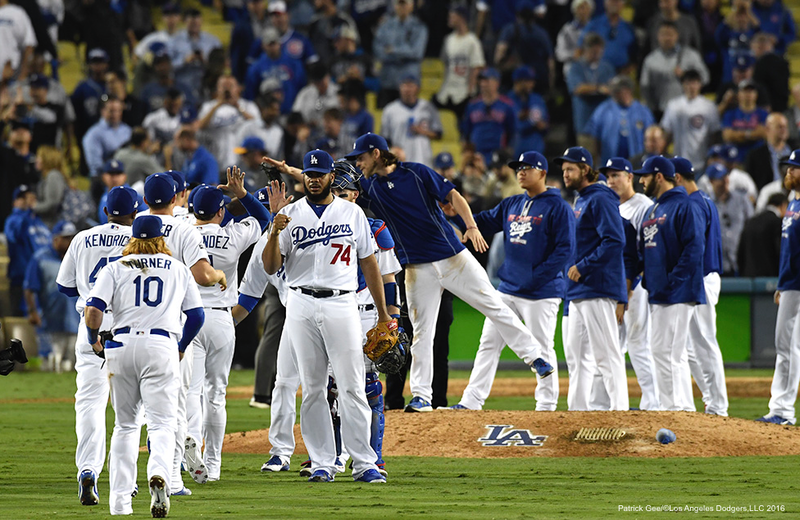 Five times has a 20-year-old starting pitcher won a playoff game: Bullet Joe Bush (1913 World Series Game 3), Jim Palmer (1966 World Series Game 2) and Fernando Valenzuela (1981 NLDS Game 4, NLCS Game 5 and World Series Game 3). Urías will be starting on the 35th anniversary of the day his iconic predecessor, Valenzuela, pitched 8 2/3 innings the day the Dodgers clinched the ’81 NL pennant. Urías said the waiting between appearances — he has only pitched in one game this month — has not made him too antsy. 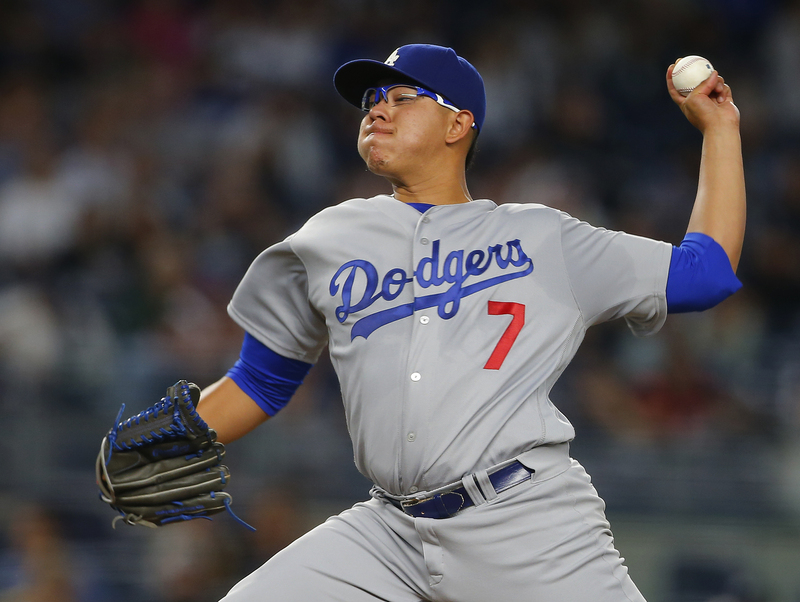 “It’s the playoffs, so I have to be ready,” Urías said this afternoon, shortly before the announcement was made official by his manager, Dave Roberts. “If before, I knew I had to give my best, I know that now I have to give even more, because whatever I do, if I make a mistake it could cost us a big game. 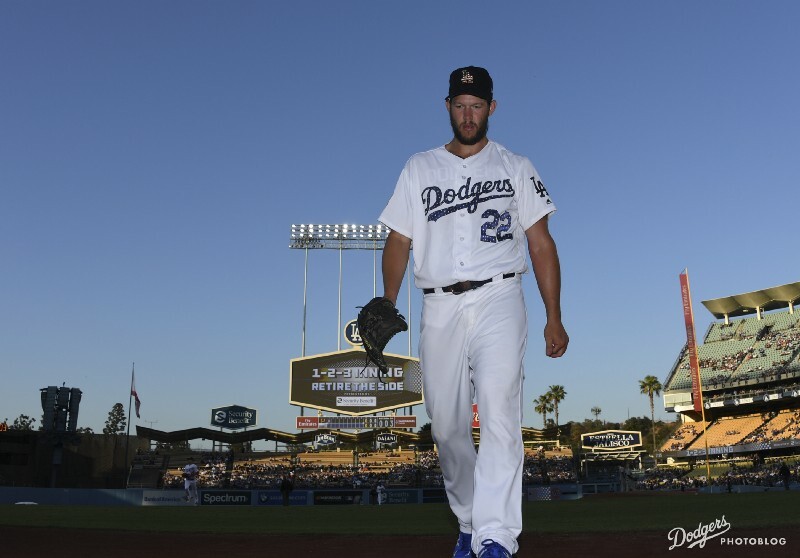 Clayton Kershaw has thrown 218 pitches since the playoffs began October 7, 117 of them in the five days preceding his start today in Game 2 of the National League Championship Series. That’s a hearty if not quite outrageous amount, buoyed by the fact that Kershaw hasn’t had any physical complications since his return from a herniated disk in September. “Fortunately for us, the back hasn’t been an issue since he’s come back,” Dave Roberts said, adding that the Dodgers are mainly monitoring his overall usage. 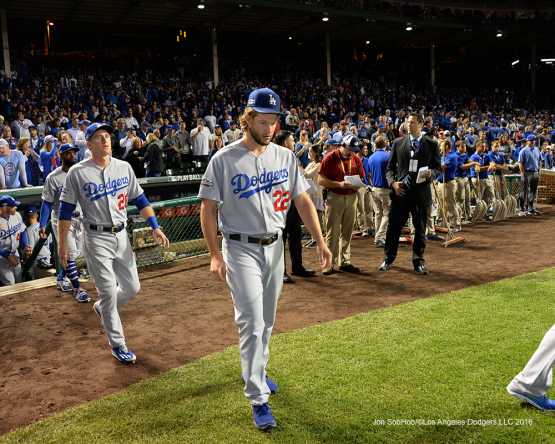 Kershaw has never let on that his arm has been fatigued in any previous postseason, but Roberts suggested that the lefty’s midsummer absence might have given him a little something extra this October. 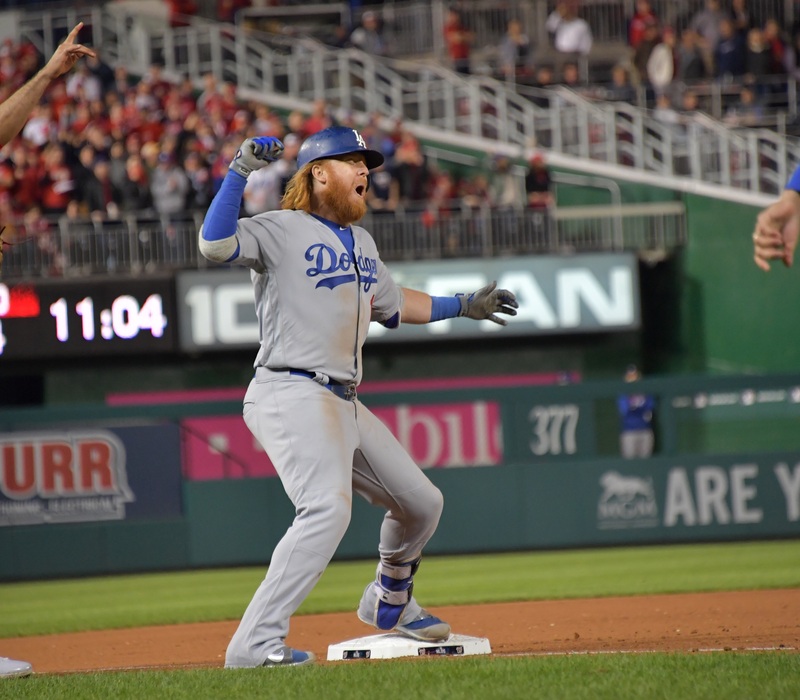 What’s the ideal scenario for the Dodgers at Washington tonight in the deciding game of the National League Division Series? Pretty simply: An early lead, six or seven combined innings from Rich Hill (officially announced as today’s starting pitcher) and Julio Urías, and matchups from the set-up men before Kenley Jansen sends Los Angeles to Wrigley Field. It’s hardly implausible, given that the Dodgers scored four runs in the first three innings against Nationals starter Max Scherzer in Game 1. Then there’s the potential of Hill and Urías. 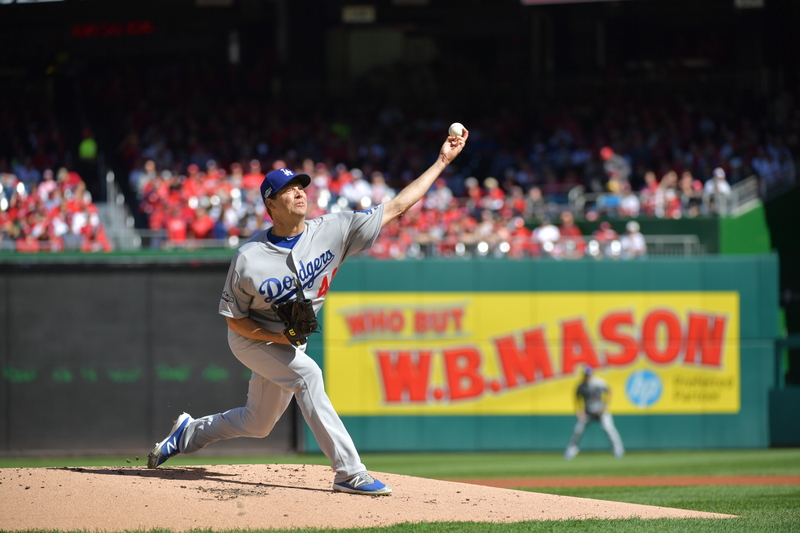 Nationals at Dodgers, 1:08 p.m.
Two critical factors in favor of Julio Urías starting today’s Game 4 of the National League Division Series fell away Monday. No. 1 was that the Dodgers lost, making today’s game an elimination game. No. 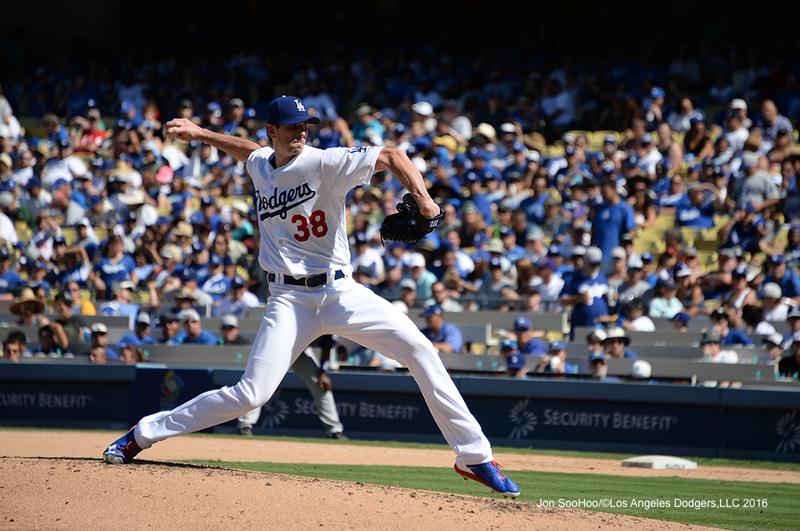 2 was that the Dodger bullpen, already on its heels after Saturday’s postponement and Sunday’s 3 2/3 innings, was forced to throw 131 pitches Monday after Kenta Maeda’s fourth-inning exit. Whatever you might speculate about Clayton Kershaw’s durability at this point, his typical outing is longer than a typical outing for the 20-year-old Urías. With that in mind, the Dodgers decided to put their best pitcher out there today. One whom, it must be added, has actually thrived on three days’ rest, with a 1.89 ERA in 19 such innings over three starts. 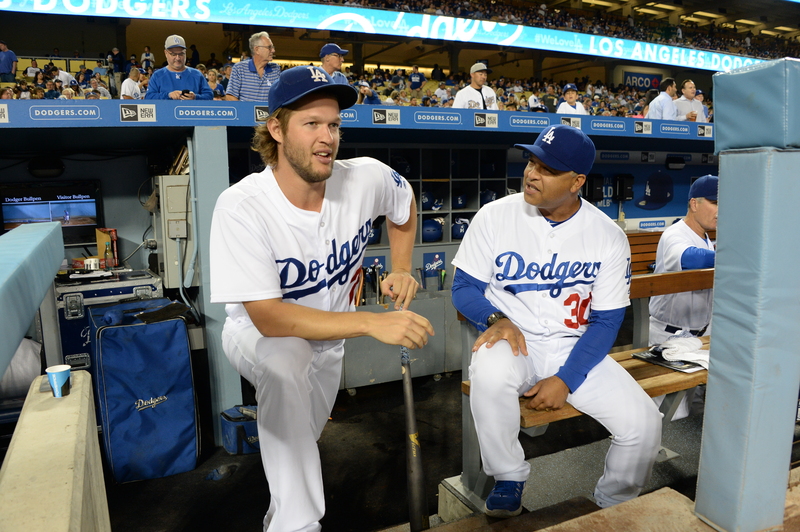 Basically, the Dodgers need to play 18 innings of winning baseball over the next three days. The Dodgers will start attacking those innings with Kershaw, and then use the remaining 10 pitchers on their staff (except, one supposes, for Kenta Maeda) to cover the rest. Home runs on consecutive pitches by Jacoby Ellsbury and Didi Gregorius in the bottom of the seventh broke a scoreless duel. 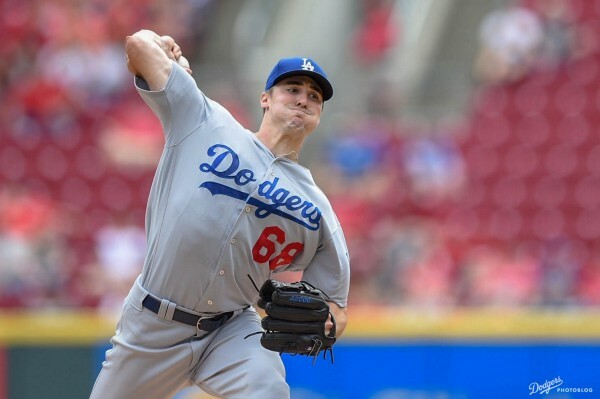 Ross Stripling, in his third inning of relief, took the loss. Gary Sanchez added a third Yankee homer in the eighth off Jesse Chavez. 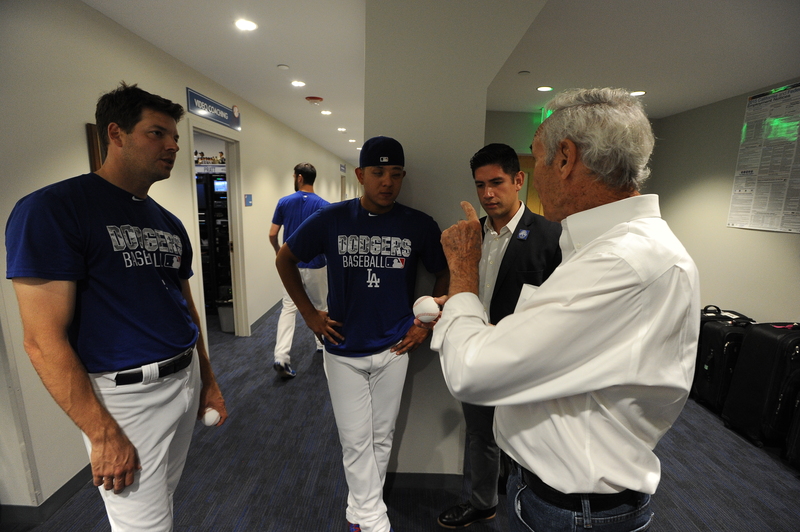 If tonight’s was in fact Julio Urías’ final start of 2016, as Dave Roberts told reporters today, what a journey it has been. And whether it’s the bullpen for the remainder of the season or the starting rotation in years to come, what a journey we have to look forward to. Urías bookended his run of starts this year where he began it — in New York. And as he did against the Mets on May 27, Urías walked more Yankees than he struck out tonight. Those are the only two nights Urías pitched this year in which that happened. As symmetrical as those moments might be on the surface, Urías seemed to improve with every outing in between. Since June 7, his ERA was 2.80. Since the All-Star Break, it was 2.02.